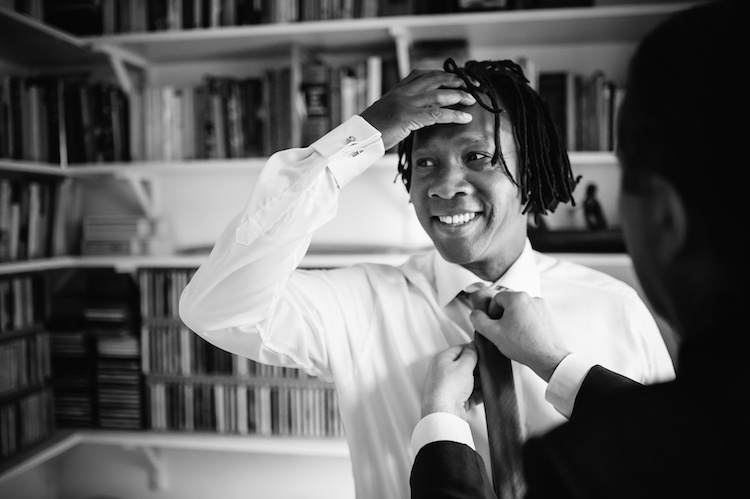 The only African-American director to win an Oscar talks about how he met his husband, how they fuel each other’s creative work, and what makes the wedding day feel special. Roger Ross Williams has been on the road since Sundance. 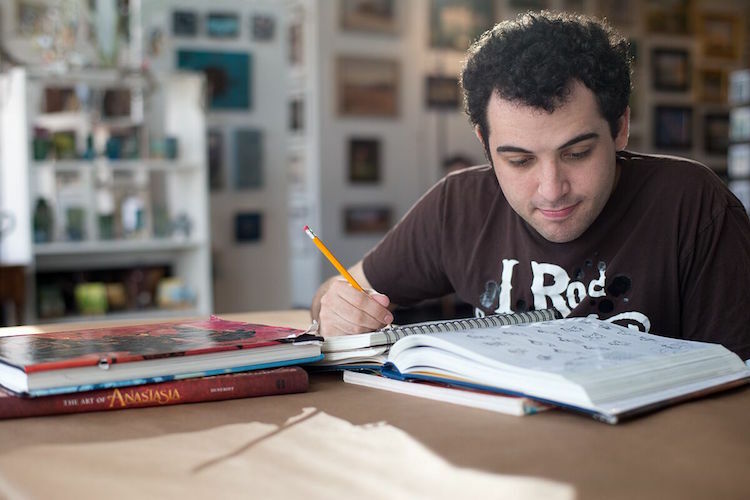 The Academy Award-winning documentarian and activist is promoting the release of Life, Animated, his latest work based on the life of Owen Suskind, who inexplicably went silent as a child and reconnected to the world through Disney cartoons. Williams is also known for his films such as the short Music by Prudence, which delivered him an Oscar—the only African-American director to be awarded—and God Loves Uganda. The hardworking artist doesn’t do everything alone, though. He is joined by husband Casper de Boer. The pair married last year in Amsterdam, and they actually manage a wedding venue, the Roxbury Barn, in New York. We spoke with the two while they were in New York to talk marriage, filmmaking, and what couples need to remember most about their special day. OUT: How did you meet? Casper de Boer: We met about seven years ago online. We met for tea in the East Village. Then we met again in the upstate, walking around, talking for hours. We grew close not just romantically, but professionally. I helped him edit a lot of his projects. We make quite the team. 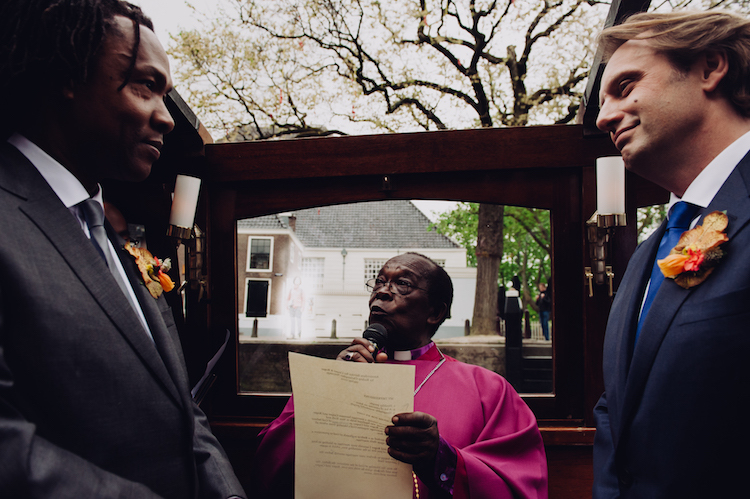 Roger Ross Williams: We married last year in May in Amsterdam. Casper is Dutch, and we just love the city. RW: Bishop Christopher Senyonjo, from God Loves Uganda, flew up from Uganda to marry us. He was 85 years old at the time, so we were so glad he was willing to make the trip. It was so special having him there. CB: We were on this old barge slowly going through the canals of Amsterdam. Everything was beautiful, very intimate—maybe about 60 people. Nothing we discussed happened during the actual ceremony, of course. Totally improvised. Everyone, from Bishop Senyonjo to us, just had this great sense of humor. You have your own wedding venue. After seeing so many marriages, what made you decide to take the leap yourselves? RW: I like how Casper used to be pretty anti-wedding. We both weren’t that excited about the idea of being married. But as we did these weddings, these amazingly joyful days for these couples, we began to change. I didn’t think until my own wedding how special that day could be. You’re surrounded by all the people you care about. That has so much power. I was really emotional. I cried during the vows. I cried during the toasts. I cried during everything. CB: We’ve had a bunch of gay weddings at our place. Then, maybe three years ago, we had two guys from the legal team who argued in front of the Supreme in the DOMA case. Two months after that, they got married at our place. The guys are a really sweet couple. They mentioned the case a lot during the ceremony, the party. 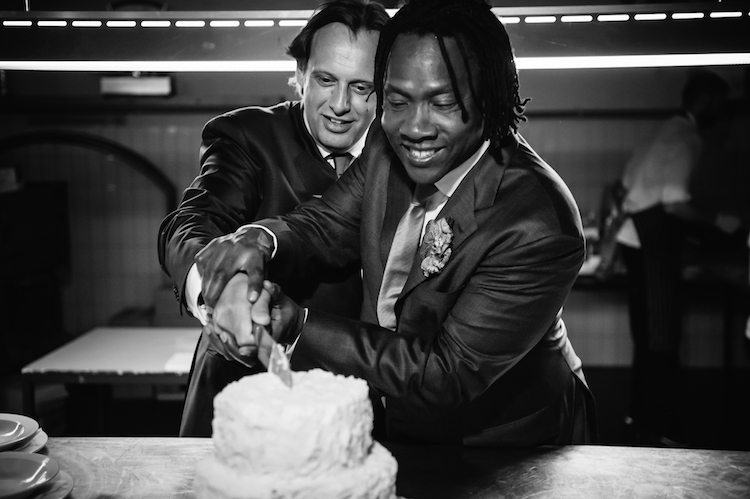 There was a strong connection between the legal fight and those two celebrating their right to get married. I was really moved by that day. Now that you’re married, how have you balanced your personal and your professional lives? RW: Casper is a brilliant filmmaker in his own right and a really talented editor. It’s really nice to share that level of creativity in the same house. We worked as a team on God Loves Uganda, and telling such a serious story about LGBT rights as a loving couple, working together to tell that story—there’s power in that. It felt personal for both of us. CB: If there are any challenges, it’s the travel. I feel like I’m constantly picking up from an airport. [Laughs.] Once you make a film, the real work begins. He’s been on the road since Sundance. RW: And even at Sundance, Casper was at the hotel building a website while I was working the festival. The film festival circuit can be pretty grueling. After seeing so many weddings yourself, what advice would you give to any couple about preparing for the big day? CB: Make the day fabulous and fun. One person in the couple, any couple, usually gets so stressed out over things that can’t be controlled, like the weather. You got to always remember what the day is really about. RW: Be in the moment. Enjoy that moment of your life because that day is so unbelievably amazing. If you miss out because you’re too stressed, that’s just such a loss you. Hopefully, you only get married once. So enjoy it. Life, Animated opens in theaters July 1.